My two favorite photographers are Korean. CHOI Min-sik, the Master of Busan, catches the soul of Korea and tracks humanity across the globe. His message is social and universal. 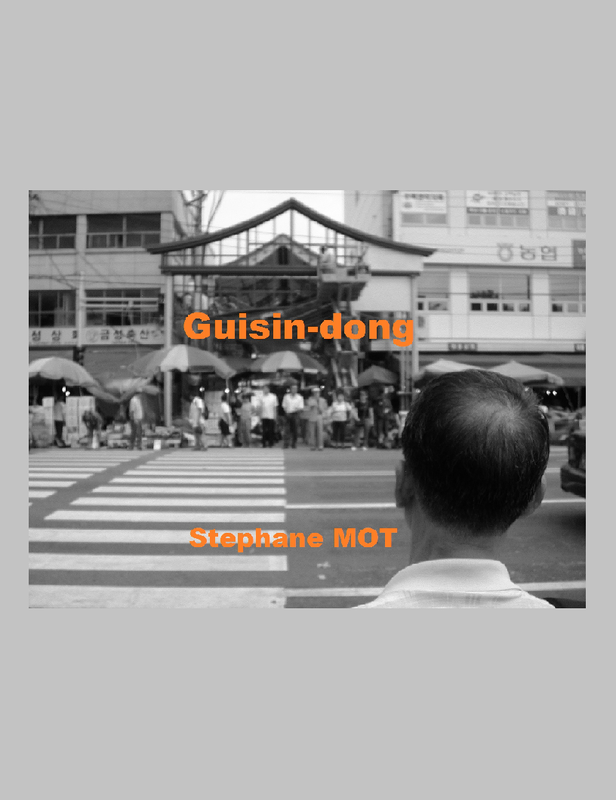 KIM Gi-chan catches the soul of Seoul and tracks humanity across the alleyways of Jung-gu, Mapo-gu, or Jongno-gu (Junglim-dong, Gongdeok-dong, Dohwa-dong, Haengchon-dong...) His message remains local but also reaches for the universal. 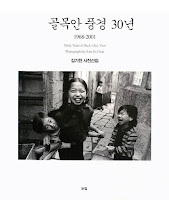 Both produced the most vivid and moving portraits of Korea. I never had the privilege to meet KIM Gi-chan in person, but I clearly remember my first encounter with his pictures, during the winter 1991-92. I was visiting the National Museum of Contemporary Art in Gwacheon for the first time. Enjoying it, but feeling kind of strange in this modern architecture. The cover of his book jumped at me in the museum shop : this is Seoul. This is the Seoul I love but never see in the media nor in the galleries. This is the Seoul many want to hide, to forget, to obliterate, to destroy. Not only the old constructions, but the life that blooms in them and around them, the blood that circulates in those alleyways. At long last, vernacular Seoul. I was so glad that someone not only kept an historical record of it but managed to spread so much joy, empathy, and love around with it. 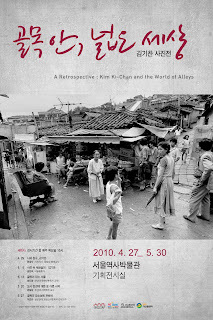 Kim Gi-chan roamed these mazes for over 30 years, and this retrospective doubled by a series of conferences by experts in photography, urbanism, and sociology provides a very interesting sample : essentially black and white pictures from the anthology "골목안 풍경 30년" / "Thirty Years of Back Alley View 1968-2001", and a few notebooks and manuscripts. For pedagogical purpose, the Museum focused on Jungnim-dong, a hilly neighborhood at the frontier between Jung-gu and Mapo-gu, West of Seoul Station, and most central in the late photographer's work. Kim Gi-chan died in 2005. Most Junglim-dong hanoks had already died of another kind of cancer, replaced by "apateus" and "villas"*. Seoul ? The city somehow managed to survive, undergoing more mutations and mutilations in the process. Once again, Seoulites should thank the Seoul Museum of History for its most vital work. * spectacular change on the before / after aerial pictures : the part that was spared by Samsung Cyber Village Apartments was overwhelmingly transformed, from the U-shaped traditional roofs to the rectangular top of one-room factories.